Manny Acosta (noted photographer, bike nerd, and all around cool dude) and his brother Mark (also cool) came by the other day to pick up Mark's new San Marcos frame and some parts for the build. As usual, Manny had his camera out. Here's some of the results. Make sure it's good 'n tight! Thanks for stopping by guys! The bike's looking super nice! You can check out the rest of the roll on his Flickr. He's got enough pictures in his feed to keep you entertained for a few days at least. 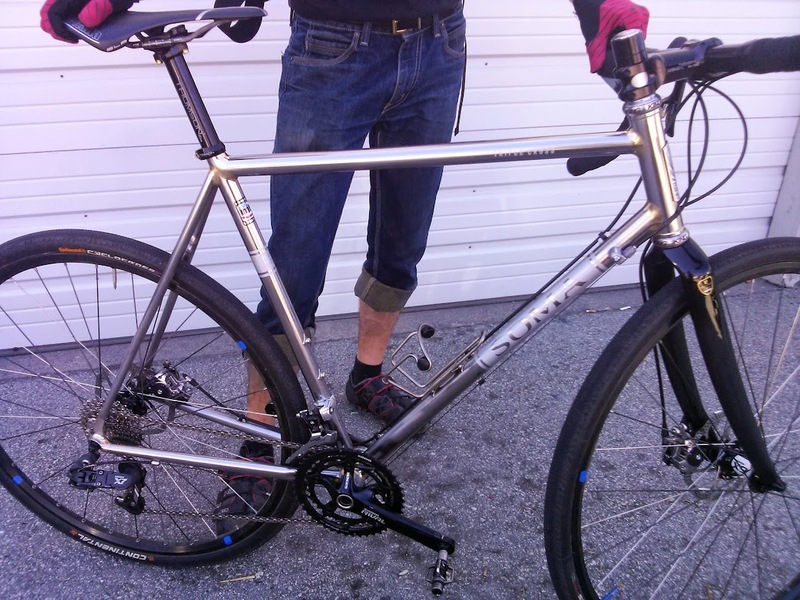 Niko stopped by Soma HQ yesterday to show us his newly built up Triplecross stainless bike. I have to say these look even better in person. Pictures don't really express how clean the joints look. Keep an eye out for this one when he's passing you on the cross course this fall. Here's another interesting build from Competitive Instincts. "Here're some photos of a Soma Analog custom build I just finished for a customer. It's a spiffy one-of-a kind "big wheel"* trailbike. Some of the highlights include: Stan's 340 Crest 26" rear wheel (w/Sram XX1 cassette hub installed) & 29" front wheel; Schwalbe 2.1 Racing Ralphs; Sram XX1 1x11 drivetrain with twist shifter; Avid BB7 disc brakes (140mm rear rotor & 160mm front rotor); Rock Shox Reba RLT 29'er fork; Cane Creek headset; Salsa carbon flat bars; Selle Anatomica saddle. It weighs 23 pounds and rides great (I've built up a number of hardtail & full suspension "big wheels" and when well-designed they make excellent trailbikes)." 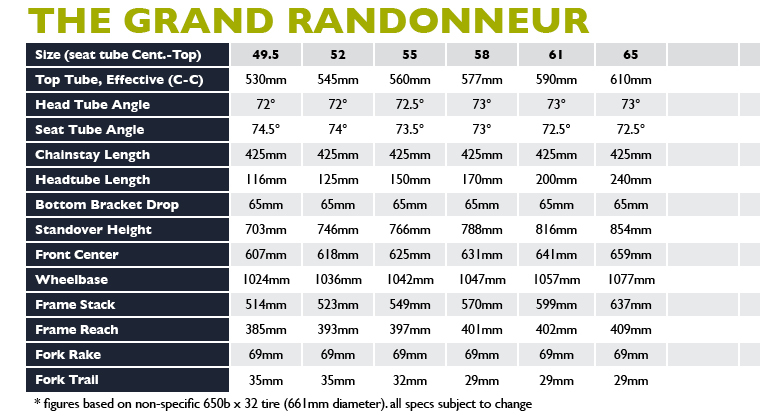 I know everybody has been chomping at the bit for official info about the Soma Grand Randonneur 650b frameset. So without further ado, here it is. Before you ask, yes it'll have a threaded 1" headset, braze-ons for a Nitto Mini rack, 132.5mm rear hub spacing, canti brakes, proper fender facing eyelets (threaded of course), and will swallow 42mm tires with a full coverage fender. Since it's a low trail geometry it's optimized for use with a handlebar bag supported by a front rack. 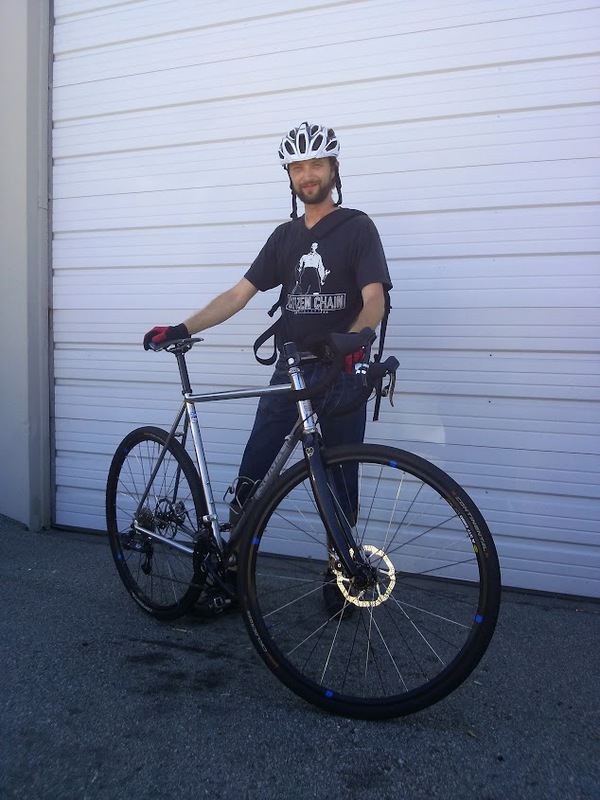 We used slightly sturdier fork blades and rear stays in case you want to load it down a bit, but main triangle uses skinny tubes for a more lively feel compared to the Saga. We should have our sample frame built up soon so you can get a better idea of how it will look as a complete bike. Our projected MSRP is 499.99 for matching frame and fork set. 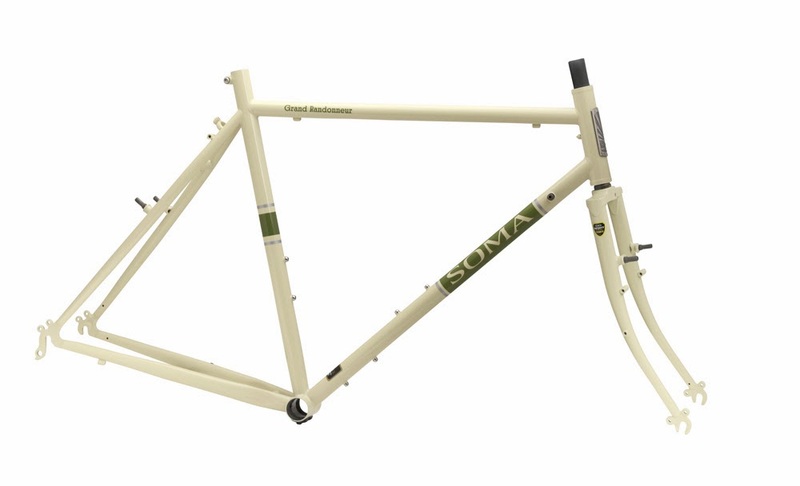 If you're interested in getting one of the first batch have your local Soma dealer call in a pre order with Merry Sales (our distributor in SF) or call Mike Kone at Rene Herse/Boulder Bicycle (303) 284-9721. Boulder will be stocking a full size run. We don't have a fixed ETA yet, but we expect them to arrive in about 4-5 months. Larry at Competitive Instincts up in Oregon just sent over these pics of the Smoothie SS they put together. Mmmm, check out those fillets. We wanted to have a stem that would be a good match to our San Marcos and Rush frames. 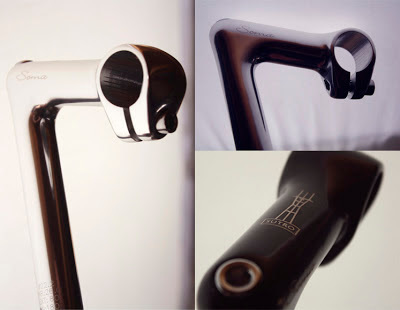 There is nothing particularly unique about our new Sutro quill stem. It's just a clean looking design, the way we like quill stems to be. We did opt for a 180mm quill length since often 140mm is too aero and the Technomics are a little too tall. Comes in 26.0mm and 25.4mm bar clamps. 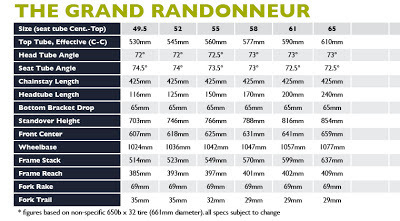 Only 80 and 100mm extensions (sorry). 70°-ish angle. Both the black and silver are have a nice polished finish to go well with our own bars as well as Nittos. We've seen these in some UK and Australian shops and thought they were pretty cute. Looking at them in real life and we are impressed with the product and the creative packaging it comes in. LED's are in the eyes. They are white, so these are for front use. Wraps around your bars with a silicone tail. Batteries not included. Just added to the SomaFab Shop.